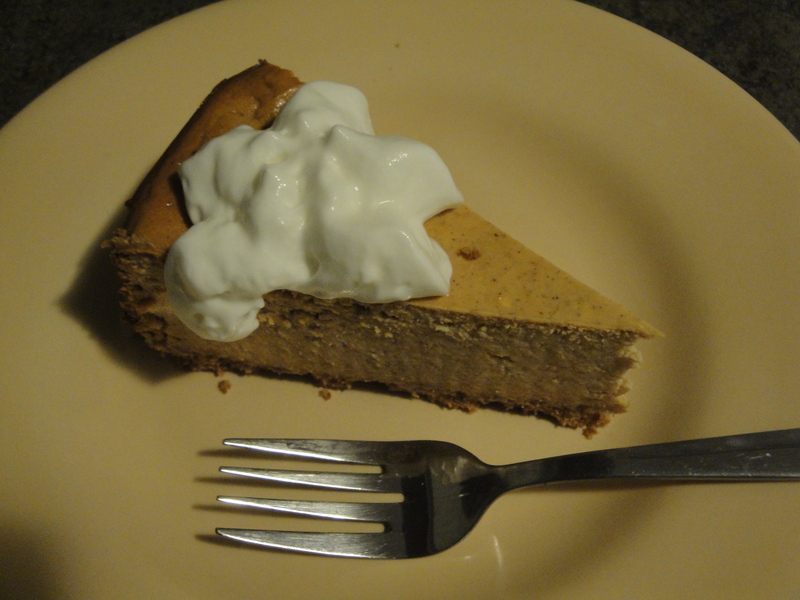 I admit that this wasn’t the first time I’ve made this Pumpkin Cheesecake. The first time was about eight years ago and I remember two things vividly: 1) I went to the store to buy a springform pan and picked up the last one just as another guy was about to pick it up. He wasn’t happy. 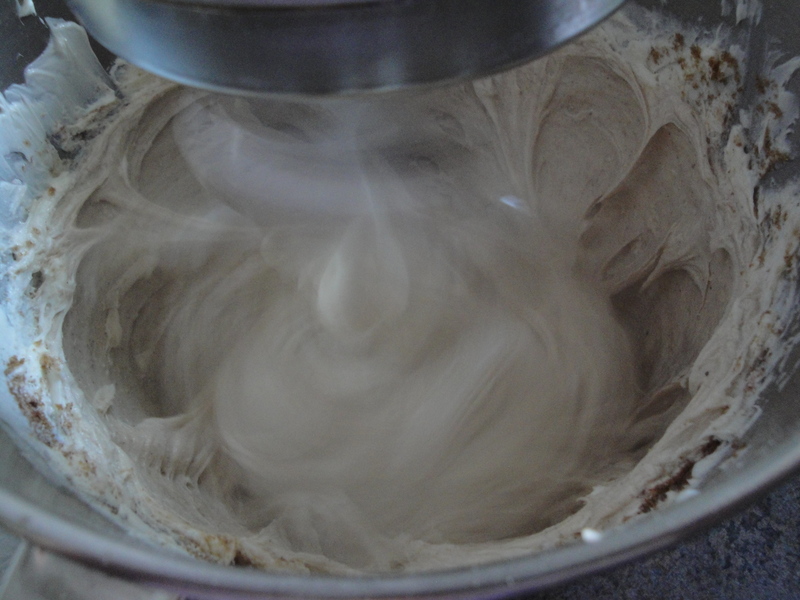 2) I left out the flour entirely. It was good anyway. 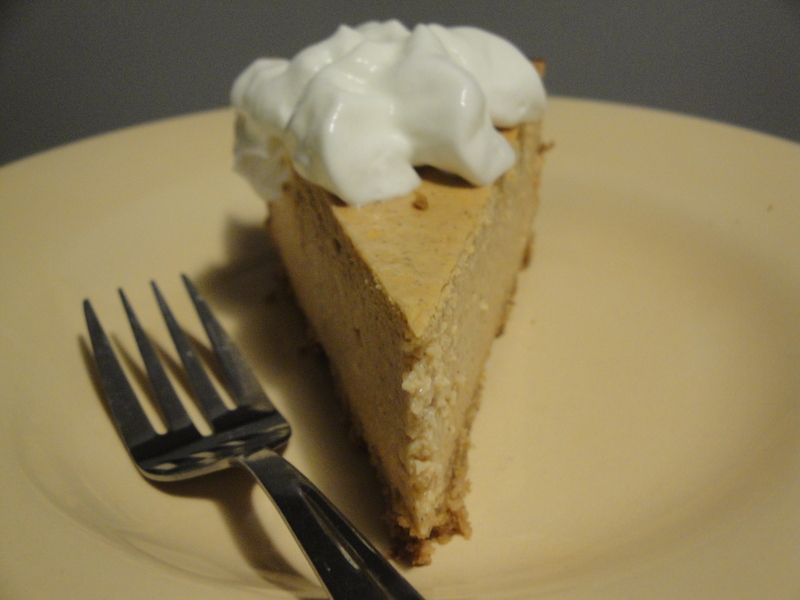 If you like pumpkin cheesecake but don’t let yourself eat it because it’s too fattening, fret no more. This is a lighter version to try. I have to confess – I HATE fat-free cream cheese. It feels like rubber, has an aftertaste, and seems like fake food. But when it’s mixed together with either reduced-fat cream cheese or regular cream cheese, it blends in enough that you don’t really notice that it’s in there. This recipe calls for both fat-free and 1/3 less-fat cream cheeses and when they are mixed together with the pumpkin, you’d never know the difference. The crust is nothing more than butter and crushed reduced-fat vanilla wafers (if you want your home to smell good, throw vanilla wafers in the oven for an AMAZING aroma!) My sister borrowed this recipe from me a long time ago and we both still talk about it. It’s THAT good! 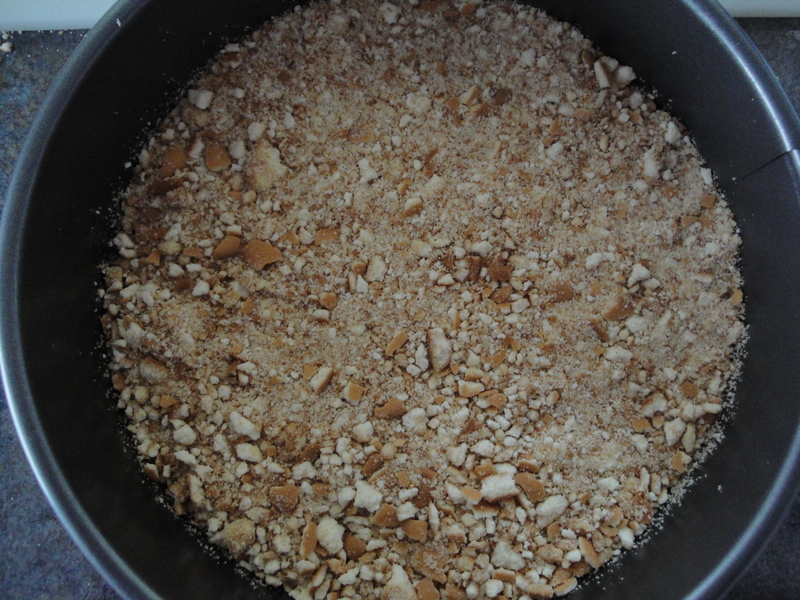 Mix together crushed vanilla wafers and melted better and pat into a springform pan. Bake at 400 degrees and cool. 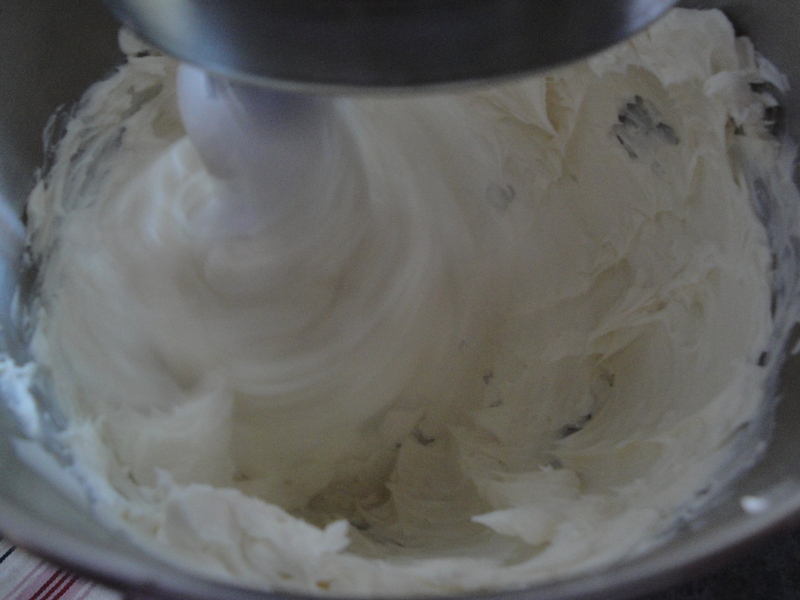 Cream together the cream cheeses until well blended. Add in sugars, flour, salt, spices, and vanilla. 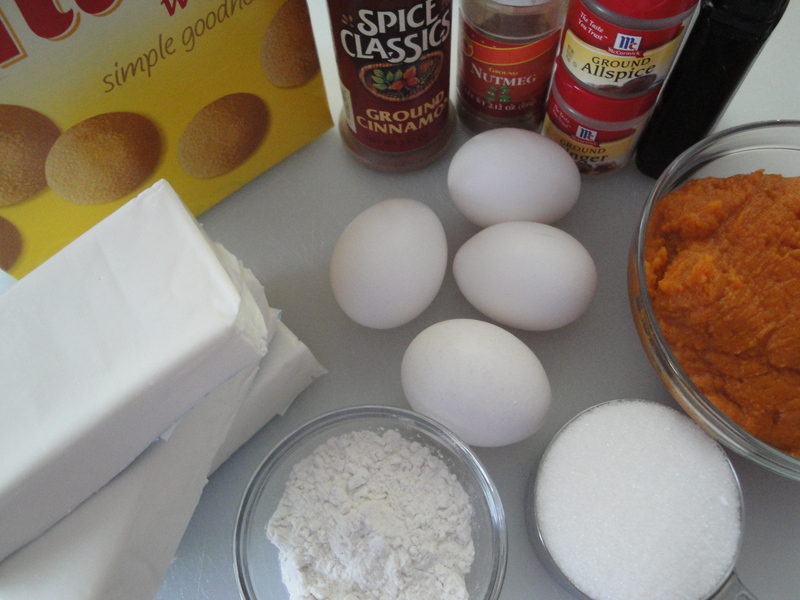 Add in the eggs, one at a time, then the pumpkin. 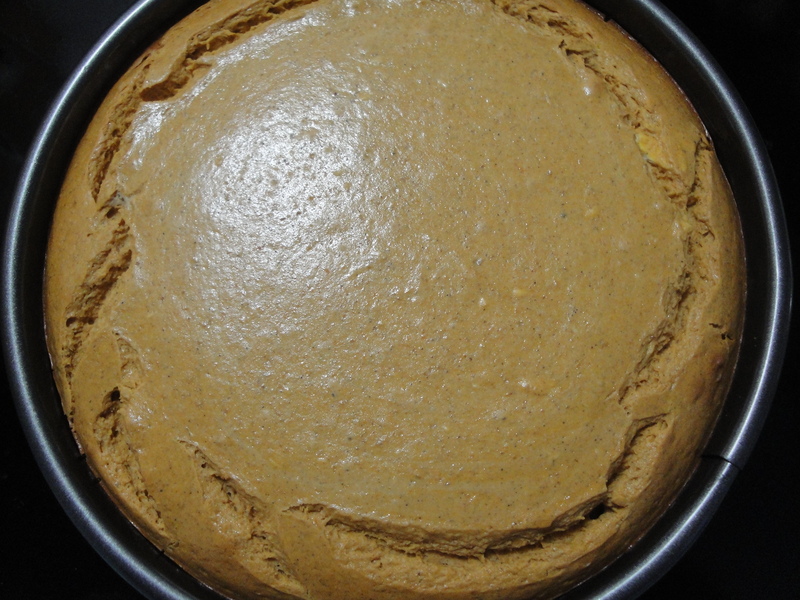 Pour into the springform pan over cooled crust and bake at 325 degrees. Allow to cool and top with whipped cream, if you so desire.